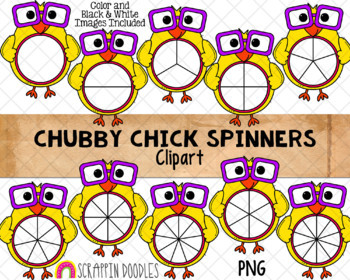 Bright, colorful and super cute Chubby Chick Spinners Clipart for adding a whimsical touch to your resources. I work hard to provide you with a quality product to help make your resources look awesome. If you ever have a question about my products, please don’t hesitate to contact me anytime. I appreciate your feedback and read all comments. Original Artwork by Dana Winter dba Scrappin Doodles Inc.